Many who enjoy boondocking in out-of-the-way locations have likely found themselves at one time or another camping in a spot near old mine workings. The western US and Rocky Mountains are dotted with various mineral districts that have attracted miners hunting for gold, silver, lead, zinc, coal, gemstones and other minerals since the 1800s. Many of these early mines were later abandoned but not reclaimed or safeguarded. These areas carry a fascinating history, but old mines can also pose serious safety risks. After the news of gold found in California in 1848 spread throughout the US, Latin America, Europe, and China , the gold rush brought 300,000 people to the western US in search of the riches they had heard about. 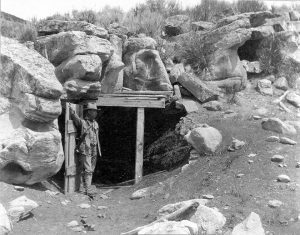 Later gold discoveries in Colorado, Nevada, Idaho, Montana, New Mexico, eastern Oregon, and Alaska continued to bring settlers westward in hopes of striking it rich. Initially, placer deposits found in the sediments of stream beds were mined with gold pans and dredges. As the placer deposits were depleted, miners began developing technologies to tunnel into the mountains looking for the source of the riches in mineralized vein deposits running through the bedrock. Some of these mines were not productive and were soon abandoned, while others found veins of gold and associated minerals. Many of these smaller mines never had any records associated with them, and have been largely forgotten by history. 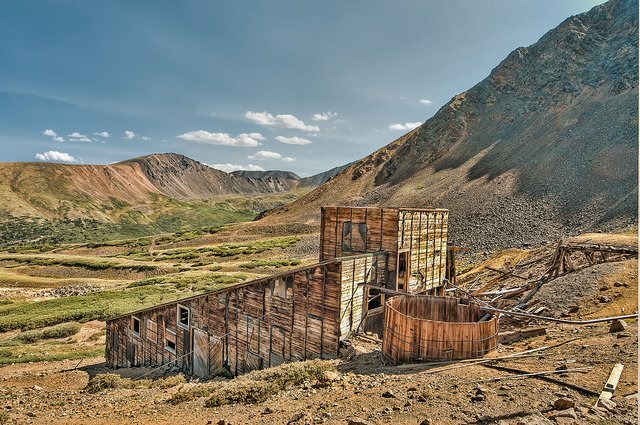 Tens of thousands of old abandoned mines exist in the United States. In Colorado alone, the Division of Mining Reclamation and Safety estimates that over 23,000 abandoned mines are scattered through the state. Roughly half of these mines have been located and safeguarded. These mines are picturesque, but pose a significant risk to safety and should NEVER be entered. Modern mining is regulated by entities like the Mine Safety and Health Administration and the Environmental Protection Agency, but historic mines were not regulated. As a result, many of the old mines pose both environmental and physical safety risks. Environmental risks can range from heavy metals (such as arsenic, lead, and mercury) associated with gold deposits that are now concentrated in tailings piles, to radiation and acidic mine drainage (created when natural water comes in contact with degrading minerals in the mine or mine waste piles). Camping in locations where historic mines are may expose you to contaminants through the soil or stream water. Physical safety concerns arise in and around the abandoned mines themselves. Many of the mine openings have not been safeguarded, and over the years have degraded to the point of collapse. 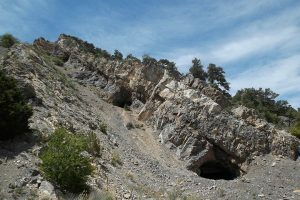 Some mine openings have been obscured by vegetation or partial collapses. Old structures no longer offer adequate support, and countless hazards such as rusty nails, wild animals, collapsing tunnels, and falling rocks exist in and around these mines. Because the exact locations of many of these mines are not known, if you find one that may be a safety hazard, you should report it to the local sheriff’s office, forest service or BLM land manager, or state Department of Natural Resources with an as accurate location as possible. If you want to experience gold rush mining history, there are a number of mining museums and regulated mine tour operations that can give a great experience for all ages. Check out some of the options available in Colorado, Nevada, and Idaho. Thanks for your thoughts, Dave. My intention was not to use “scare tactics” rather to inform people about the dangers posed by mines. While actual death statistics are one way to look at it, the number of rescues and injuries reported in and around old mines do warrant caution. 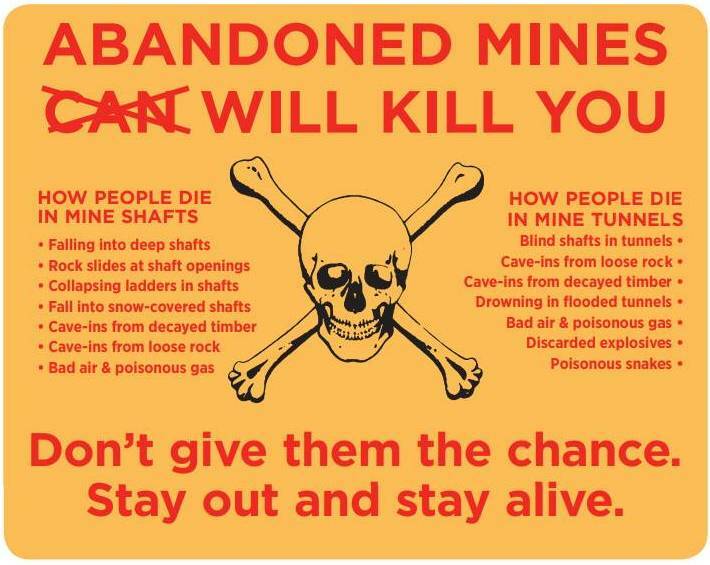 Well, the one photo does say “Abandoned Mines Will Kill You”. The saddest thing about the whole thing is the government uses it to justify spending MILLIONS of DOLLARS a year to obliterate mines and related historic structures in the name of safety. Mining built the West, I sometimes wonder if it is more about destroying the historic legacy that mining played in building this great country. What will be left for the next generation to see and learn from?? Another reason to avoid mine shafts would be bears, at least during the winter. 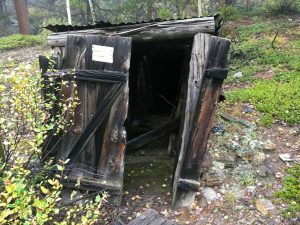 My parents have property in northern California, and bears winter in the mine shaft on their property. So I guess what you are saying is that this is a “Minor” problem.